A contemporary approach to classic techniques and recipes. 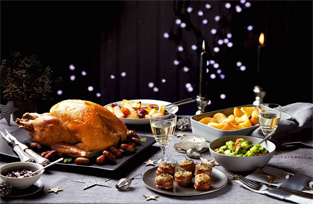 We offer courses such as Italian classics and fine dining to help you entertain friends and family. 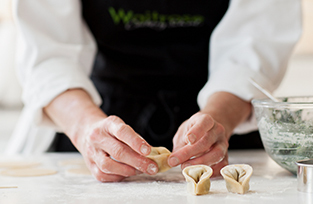 You can also learn skills like pastry and bread-making. Sign up for a 2 hour evening class or roll up your sleeves for an all-day session. When you come out of the tube station, you will see the Waitrose John Barnes branch right opposite you. Walk past the entrance to the store, and follow the building around to Goldhurst terrace where you will find our entrance about half way down the right hand side. A 10 minute walk from the school. 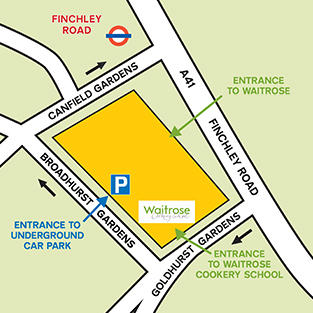 Take a right as you exit the station and head south on the Finchley Road, when you arrive at Finchley Road Station, you will see the Waitrose John Barnes branch right opposite you. Walk past the entrance to the store, and follow the building around to Goldhurst terrace where you will find our entrance about half way down on the right. The Cookery School does not have any parking on site. A few minutes walk up Finchley Road is a shopping complex called the O2 Centre which has parking.